Marijuana, for both medicinal and recreational purposes, is an extremely valuable commodity. Retail marijuana is a multi-billion-dollar industry and individual retail shop owners bring in thousands of dollars in sales each day. The banking, pharmaceutical, jewelry, and precious metals industries have long had to deal with the safety concerns of holding highly valuable assets in physical spaces. Today, marijuana is just another item that needs to be stored securely. Marijuana retail shops are essentially a one-stop shop for burglars. It has been said that “cash is king,” even in an age when everyone seems to be using plastic to make retail purchases. But in marijuana retail, it really is true – cash is king! 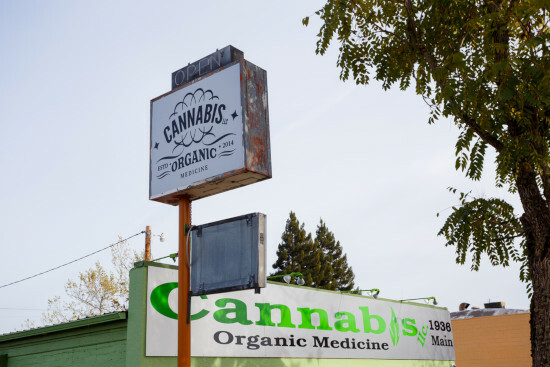 Because most banks and credit card processing companies want nothing to do with marijuana businesses, marijuana retailers are forced to deal solely in cash. Storing several thousands of dollars in cash, along with highly valuable marijuana products, is a very real danger for marijuana retail shops. In the United States, for example, banks can be prosecuted for dealing with marijuana businesses because it is still illegal at the federal level. Dealing exclusively in cash makes marijuana retail shops very attractive prey for thieves. International Vault specializes in the construction of supremely secure UL rated vaults to protect cash, products, and of course, the employees of retail marijuana shops. Vaults protect against theft, bullets, fire, natural disasters and severe weather, and many other serious threats. HVAC Port Vents for climate control and optimum storage temperature and humidity. A general contractor may install insulation for additional energy efficiency. Self-closing daygates with electronic strikes (recommended for auditing entry/exit of the vault). This can be tied in with customer alarms to provide access control. Protect the assets of your medical marijuana dispensary or cultivation facility with one of the wide variety of modular vaults, day gates, and/or wire cage installations built and designed by International Vault, Inc. Experience meeting Drug Enforcement Administration (DEA) security requirements in the US and vault specifications developed by Health Canada. Megacrete modular vaults meet government required GSA AA-V-2737 specifications; Scimitar vault doors meet GSA AA-D-600 specifications. You need to make sure that your medical marijuana is safely stored, without exposure to light, air, or any external influence that could cause a loss of potency. Save thousands of dollars over the cost of new construction. A major benefit of both modular vault construction and stand-alone MicroVaults from International Vault is that they are not considered a cost of new construction. These exceptional security systems are considered assets and can therefore be depreciated. Outstanding security at an affordable price. Onsite vault protection without the need for new construction. Mobility and expandability of vault solutions as your business grows. Expedited Lead Times - For those in a time crunch, we can bypass the old process of setting up wood forms on-site and casting concrete in place, which requires a lot of people on site, getting in the way of other trades trying to complete the work. We can be on site within weeks to meet your needs! To learn more, please call us today at 866-289-3698 or visit our easy-to-use contact form.